This unique, full-color reference offers a total team approach to radiation oncology treatment planning, incorporating the newest imaging techniques and offering a comprehensive discussion of clinical, physical, biological and technical aspects. A clear focus on the application of physical and clinical concepts to solve treatment planning problems helps you provide effective, state-of-the-art care for cancer patients. 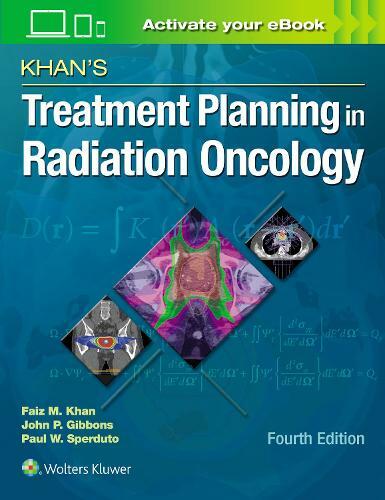 With authoritative coverage of the latest in sophisticated radiation oncology treatment modalities, the 4th Edition of Khan's Treatment Planning in Radiation Oncology is an essential resource for the radiation oncologist, medical physicist, dosimetrist, and radiation therapist. Doody's Review - Score 97 and 5 Stars! "This book is clearly written and easy to read -- a hallmark of all books penned by Dr. Khan. It is a ready resource for finding answers to treatment planning related questions in radiation oncology. Perhaps, owing to size limitations, some topics are not covered in detail. However, ample references are provided for interested readers. It is my hope that the book's future editions will include an expanded list of study questions. It is also expected that the next edition will cover topics related to the evolving, yet important, field of MR-based treatment planning and delivery. The book is a joy to read and should appeal to all those interested in radiation oncology. "